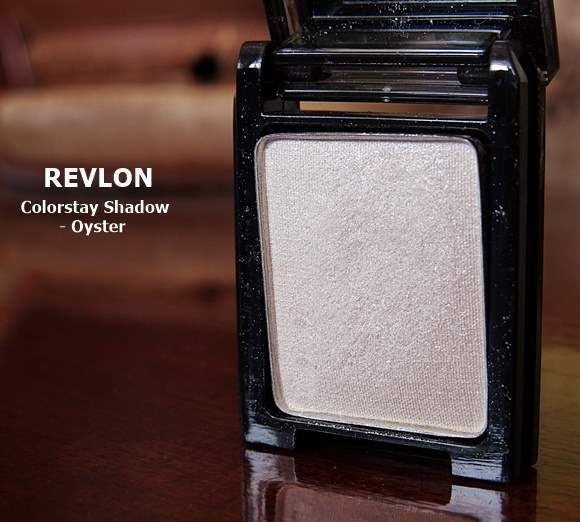 Revlon has introduced this cool concept for their latest range of eye-shadow ‘the Revlon Colorstay Shadow Links’ that allows user to customize their own color palette. Reasonably priced with a catchy concept, I was intrigued and couldn’t wait to try my hands on them! 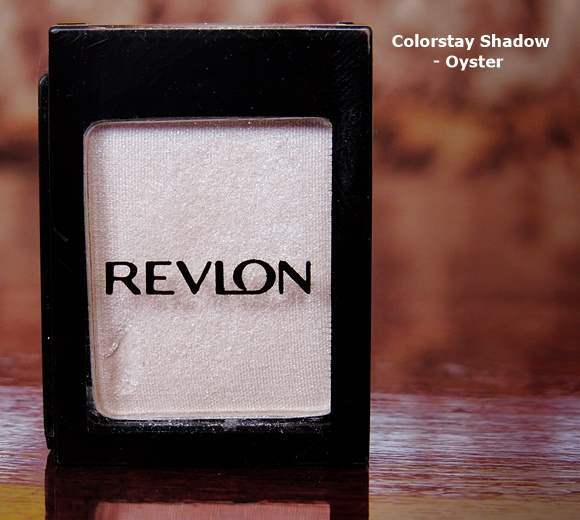 The Revlon Colorstay ShadowLink comes in four different finishes – matte, pearl, satin and metallic. They have a wide range of shades, 20 to be exact, from where one can pick their favorite shades and customize their eye-shadow palette. The Revlon eyeshadow links come in tiny, travel friendly, plastic body. The front body is transparent to provide an easy view to the color shade while the back packaging is sturdy black and features the product details. Notice that the one side of the casing has added plastic strip while the other has side has a slot. 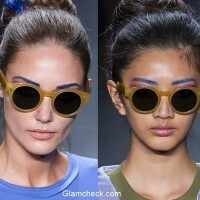 This allows two or more eye-shadows to interlock. Thus the name ‘Shadow links’! 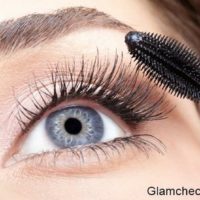 The best part is that these interchangeable eyeshadows snap together or come apart easily. Just perfect for my travel bag! I’ve picked a silver-white shade ‘Oyster’ that has a shimmery finish. It’s not too grey and has the right tinge of silver, just the shade I was looking for! 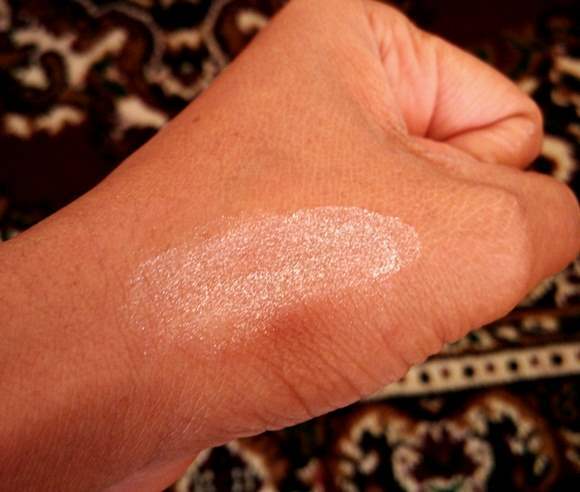 The shimmery oyster shade works great for highlighting the brow bone area, all you have to do is dab and blend. 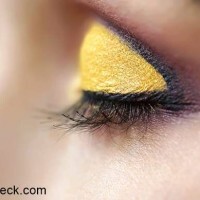 I’ve also used it over the mid portion of my upper eyelids to create that flawless 3-D effect. And yes, to provide the finishing touché, a few pats along the inner corners of my eyes. Why hello bright eyes! This all day wear eyeshadow has a soft and non-greasy, velvety formula that makes it easy to apply and blend. 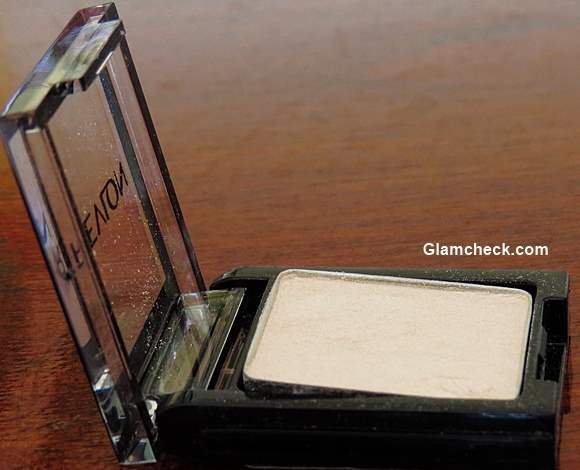 Much like most Revlon eye-shadows, this one is not highly pigmented. For me, this works great as it allows me to control the effect and build-up accordingly.